The Y Combinator session that is currently underway has two different groups of Canadians participating. 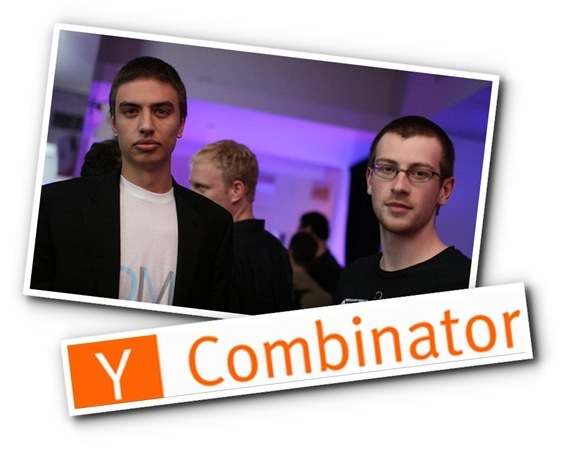 Previously I interviewed Michael Parkatti & Michael Marrone a team from Calgary attending Y Combinator. This interview is with Christopher Golda and Michael Montano, another team of Canadians working on a Y Combinator backed startup. I met Christopher & Michael at Mesh 08 where they impressed me with a discussion about their previous startup iPartee and their plans having been accepted at Y Combinator. I’m very excited to see them launch their product later this fall. 1) Mike & Chris, tell us about each of your startup & educational backgrounds before you applied to Y Combinator. Chris: We?re both electrical engineering graduates from the University of Toronto. We?ve known each other since the beginning of high school and we roomed together in university. Our first startup, IPartee, was based on an idea we had in second year which we didn?t end up working on until two years later. I?ve been building websites from a young age, but IPartee was the first serious web application I?d ever been involved with. Before IPartee, I started a design and development company called, UrbanTwelve, but I don?t consider that to be a start-up. Mike: When we started IPartee, I was doing a co-op at RIM in Waterloo between my third and fourth years. Chris continued at UofT and when he finished, we started working on it in Waterloo and then in Toronto when I returned for fourth year. 2) What did you guys learn from your previous startup experience? Mike: Almost immediately after our launch, we knew we needed to iterate, focus on distribution and differentiate. Basically, our first release wasn?t something people wanted. After three major iterations of our product?two of which were featured on TechCrunch?we ended up being more of a widget provider than a social-network for events. We learned how important it is to build something that people want and that building something that?s useful right away is a huge advantage. We were trying to solve a problem in a very complex and convoluted way that would have only really worked at scale. After the many changes we made after launch, it became more and more difficult to explain our product?that?s what happens when you release a complicated, feature heavy product to begin with. I think that?s why we?ve developed such a strong appreciation for products like Twitter. We?re still learning and we plan on applying all of the lessons from IPartee; I think we?ve been very fortunate to have some great mentors and peers help us along the way. 3) What are the big differences you are finding between your experience doing IPartee and YCombinator so far? Mike: YC is an incredible experience; it?s a network of hundreds of entrepreneurs. It opens a lot of doors and the name lends you a lot of credibility. At the end of the summer, we get the opportunity to meet and present to literally every active venture capitalist investing in consumer Internet. YC is a huge opportunity for us and we?re very excited to be a part of it. As far as working on our start-up, we?ve received incredibly helpful feedback from the partners, founders and speakers at YC. Aside from that, I think it?s very much the same experience we had with IPartee. We?re working just as hard, if not harder. It?s difficult not to work when everyone you know is a plane ride away. 4) How big did your previous startup experience (although failed) play in getting your spot at YCombinator and making it through the screening & interview process? Chris: I believe it played a huge role in our acceptance. If you?re able to get an interview in person, you only have ten minutes to sell yourself. I don?t think we really made a lasting impression until we showed them what we spent the last year working on. Y Combinator sees thousands of ideas a year. The best way to set yourself apart from other applicants is to show that you can and will execute. Mike: During the screening process, we spoke with some YC alumni about our idea. That turned out to be really helpful, both for our interview preparations and especially for our idea and pitch in general. 5) Your new company (I know you can?t disclose the details) ? how has it benefited in its focus & ideation from your previous startup experience. What do you feel is the difference in your idea & approach this time. Chris: We?re trying to release a simple product that will create value almost immediately. After IPartee, we became very conscious of the fact that you have to build something that?s innovative, not incremental. Our new start-up lets people do something that hasn?t been possible before?we think it?s a big opportunity and we?re excited to see how people will react. 6) Have you noticed any big differences between your experience in Toronto and your YCombinator experience. Chris: Toronto has an active community of entrepreneurs, but you have to put forth a lot of effort to really become a part of it. Nevertheless, attending events like StartupCamp, DemoCamp and especially Founders & Funders gives you the opportunity to interact with very successful Canadian entrepreneurs that you can learn a lot from. We?ve had great conversations with Leila Boujnane, Albert Lai and yourself. The biggest difference is that at Y Combinator, you?re lucky enough to meet successful entrepreneurs on a very frequent and regular basis. 7) The YCombinator funding is not a lot of money when you look at other startup funding. ($5k + $5k per founder) ? do you find it hard to ship a product for under $15k? Mike: Some people criticize YC for amount they invest, but like any good investor they aren?t just giving you money. They?re advisors to your company at a very early stage?their experience and feedback is invaluable. On top of that, you gain the credibility and network of YC. In any case, I think $15k is more than enough to ship a web-based product. We spent a fraction of that on IPartee. 8) In my own experience I?ve seen a lack of startup culture in our Universities and engineering/ComputerScience programs. As two recent grads who did a startup while in school and are pursuing startups out of school what has your experience with this been. How does it compare to what you are seeing among the other YCombinator teams? Chris: There are some initiatives by the University of Waterloo that I read about on Startup North that sound great?we definitely need more of that at Canadian universities. The University of Toronto doesn?t foster or promote entrepreneurship at all really. They have clubs that occasionally bring in speakers and they have a couple of entrepreneurship classes, but teaching you how to write a business plan isn?t really relevant. Engineers and Computer Scientists should be building things. Mike: I get the impression that other universities are much more accommodating. For example, there are some YC founders who are taking time off school to work on their start-up?UofT wouldn?t make that easy. 9) Any words of advice for other entrepreneurs in Canada looking to do startups? Mike: Find out what?s wrong with the industries that interest you and start working on a solution. Don?t focus on business models until you?ve successfully created something people want. The best thing an entrepreneur can do is solve a big problem and get a lot of traction. There are benefits to starting a company in Canada (government programs, etc) and some active investors, but I still think it?s better for entrepreneurs to move to the valley. They love risk takers and they embrace failure?there are countless reasons why it?s an advantage to be there. Thanks to Mike & Chistopher for taking the time to respond to these questions. We’ll be doing a follow up with them after their launch. Austin Hill is the CEO of Akoha and a guest contributor to Startup North. Informative article. I especially agree with holding off on boxing ones self into a business model until you’ve figured out where the pain and problems are first.